If you have had to get a driver’s license recently, you may have noticed that you were required to bring in a lot more documentation to prove your identity, residence, and citizenship. You may have been asked to bring documents like your passport, birth certificate, Social Security Card, utility bills, and lease agreement – even if you already hold a valid driver’s license! The reason you need to bring so much more documentation is because of the Federal REAL ID act, which is intended to set national standards for state-issued identification cards like driver’s licenses and non-driver IDs. In certain states, you may also have to bring additional documentation if you want to acquire an Enhanced Driver’s License which may be used like a passport card to cross land borders between the US, Canada, and Mexico. Before the REAL ID Act of 2005 was passed by Congress, there were no national standards for state-issued identification cards. The US does not have a nationwide ID system, except for US Passports, and as fewer than half of all Americans have passports, many people rely on their driver’s license as their main form of official identification. The REAL ID act set documentation standards for each state to follow in order to verify the identity and citizenship status of applicants for driver’s licenses and non-driver IDs. When the REAL ID act is fully implemented, US citizens, residents, and visitors will need to show a REAL ID compliant document in order to go through TSA security at the airport or enter a secure Federal building. It’s expected that REAL ID will not be required for airport security until sometime in 2016 at the earliest; a firm date has not been established as not all states are yet fully compliant with REAL ID standards. What Documents Count as REAL ID? Your current driver’s license may or may not be a REAL ID. Take a look at your license; if you see a star in the top corner of your license, that means it is a REAL ID license. A number of other documents can also be used as REAL ID. 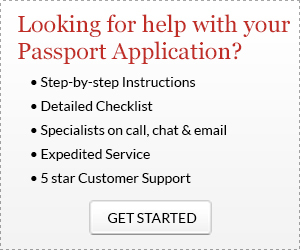 A valid US passport book or passport card can be used as REAL ID, as can valid passports from foreign countries. Permanent Resident Cards, Trusted Traveler cards, and valid US military IDs also count as REAL ID. 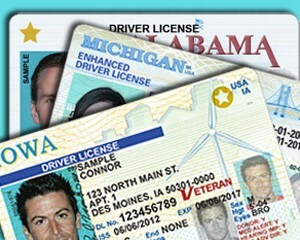 Enhanced Driver’s Licenses, which demonstrate US citizenship, can be used for REAL ID purposes. Five states – Michigan, Minnesota, New York, Vermont, and Washington – currently offer residents the option of receiving either a standard driver’s license or an Enhanced Driver’s License (EDL). These states all border Canada, and see a lot of land traffic across the border. The Enhanced Driver’s Licenses are designed to prove the bearer’s identity and citizenship, and can be used like a passport book or passport card when traveling between the US and Canada by card. Canada also has an Enhanced Driver’s License program; British Columbia, Manitoba, Ontario, and Quebec are all able to issue their residents EDLs to be used when driving across the US border. In the US, Enhanced Driver’s Licenses are available only to US citizens, who must prove citizenship by showing a valid US passport, naturalization certificate, or birth certificate showing birth in the US. This is different than REAL ID driver’s licenses, which are available both to US citizens and to legal US alien residents. Another difference between EDLs and REAL ID licenses is that Enhanced Driver’s Licenses are slightly more expensive than standard licenses, and REAL ID licenses do not have additional fees. Additionally, Enhanced Driver’s Licenses contain an RFID chip, just like a biometric passport, but other REAL ID licenses do not.